From its origins, the history of El Maestro Sierra is one of self-improvement, noncomformity and a firm desire to fight for a clear goal. 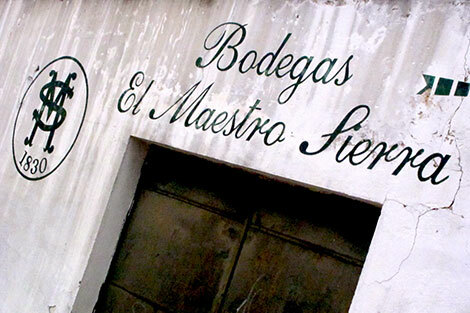 Founded in 1830 by José Antonio Sierra, this master cooper run a prosperous barrel-building business called La Merced. However, his dream was to become an almacenista (sherry wholesaler for the large shipping houses) and own his own winery. It was no easy task; back then, the sherry trade was controlled by aristocratic families and the idea of a humble worker becoming one of them was met with undisguised disdain. But the courage and ambition to better himself proved to be more powerful than Jerez’s rigid establishment and nowadays the winery, one of the most respected in the Sherry Triangle and still run by the master’s descendants, stands proud on the high part of the city, exposed to the cool Poniente winds. As a reminder of the bodega’s struggles and in memory of José Antonio Sierra, the labels depict a hunting scene with a hare being chased by high society riders. Sierra had no children so the business passed onto his wife’s niece, who then bequeathed it to his son Antonio Borrego. After he passed away in 1976, the estate passed onto his widow, Pilar Pla Pechovierto, a brave and resolute woman who, living up to the spirit of the master, managed to drive the business forward despite the prevailing machismo of those days when it was frowned upon for women to work in a winery. “My mother used to have to go to work accompanied by my 80-year-old grandma. They said that women could not be left alone in a winery with four men”, remembers Carmen Borrego Pla, who nowadays runs the business along with Pilar, still active at 90 years of age. Carmen also had to face tough situations in those days, when she was still in college. “My dad had just died, but there were people at the door asking to buy the winery, with a complete disregard for our grief and mourning”. But honoring the family’s resilience, Carmen completed a doctorate in History of the Americas and from her chair at the University of Seville she has published several books and speaks on conferences on the subject. “At El Maestro Sierra we not only sell wine; we sell respect for wine and aim to expand wine culture”, Carmen explains. “I’d love to have more active support from the region’s Regulatory Body to translate historical documents to contribute to improve the knowledge about sherry”. She is convinced that it would mean extra value and would help to highlight the quality of the Sherry Triangle’s wines. With the way things stand at the moment “this business is just to brag about; if you want to make a living out of it, you need a great deal of money”, adds Carmen. Quality is certainly present in the family’s wines. 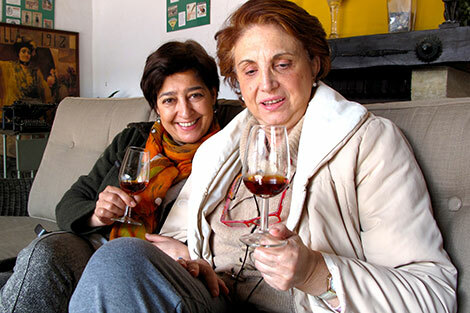 As almacenista, Doña Pilar used to sell her wines to González Byass, Domecq or Lustau, but in 1992 along with her daughter Carmen, she started to bottle under her own brand. They are old wines with plenty of history which are still kept in the master cooper’s casks, proof that their quality has stood the passing of time —some of them have never needed to be repaired. The winery still employs a cooper who fixes and cares for the hundreds of old casks stored in the quaint facilities of El Maestro Sierra, which also has a natural well with chlorine-free water used to water the albero (local word for sand) on the floors to maintain the necessary humidity. Tasks at the winery are performed according to traditional methods, with tools such as the rociador (a long metal tube to top up the casks), the canoa (a wide funnel also used to refresh the casks), the jarra (a 12.5 litre jar used to transfer wine) and the sifón (a metal tube used to siphon wine). The withdrawal of wine from a solera for bottling (saca) is done with a hose, filtering is minimal and done manually with a sieve and no SO2 is added to the wines, known for its trademark yeasty flor notes intensified by the high location of El Maestro Sierra. All this manual work plus the cost of employing six people full time and some freelancers means that the wines are more expensive than some of its competitors, but they offer an impressive quality for the price, says winemaker Ana Cabestrero. A plucky woman with a no-messing-about personality, she left Ribera del Duero about 11 years ago to take the baton from Juan Clavijo, the cellar master who had spent most of his life among the casks of the master. Unsurprisingly, Ana fits in perfectly at this winery where women are in charge —something rather unusual in the Sherry Triangle. Although she has no children, Carmen Borrego hopes this tradition is maintained. “Although young, I have a goddaughter who might continue”. Like most of the wineries in the region, El Maestro Sierra owns no vines but purchases its base wines from the same growers whose grapes come mostly from the pago of Balbaína, but also from Miraflores y Trebujena. Bulk wines are sold at the despacho —a shop traditionally kept at the Sherry Triangle wineries to serve the local market— and at Tabanco El Pasaje, a traditional sherry tavern with flamenco shows which is gradually becoming trendy. Most of the production —60,000 bottles— are sold mostly abroad, specially the United States and Japan. El Maestro Sierra’s fino (€8,50 at Lavinia and Wine Searcher) averages five years of age and is undoubtedly one of the greatest in the region. It has a deep golden colour characteristic of the light filtration it goes through and is very expressive and aromatic, with the saline notes that are usually associated to this style. 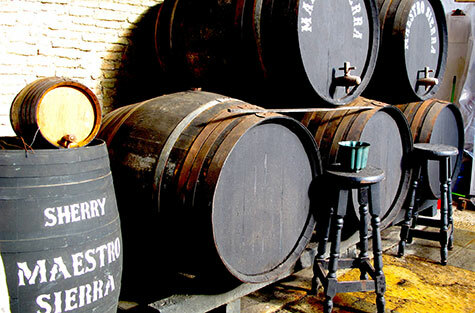 The winery also stores a fino amontillado with an oxidative character due to the scarcity of flor. Instead of being bottled, it is used to feed the scales of the solera in the Amontillado 12 años (€25.50 in Lavinia or via Wine Searcher); on its sixth year alcohol is added up to 17º vol. and is bottled at 12 years of age. It is intense, with honey and varnish notes but the flor has left a clear imprint, which is characteristic of El Maestro Sierra’s biologically aged wines. The Oloroso 15 años (€9 at the winery, from €12 in Wine Searcher) is the youngest Oloroso in the range and is also used to make El Maestro Sierra Amoroso (€11.90 at Lavinia, €10 in Wine Searcher), a sweet mix of Oloroso and Pedro Ximénez which is kept in the solera for four years to complete the blend. 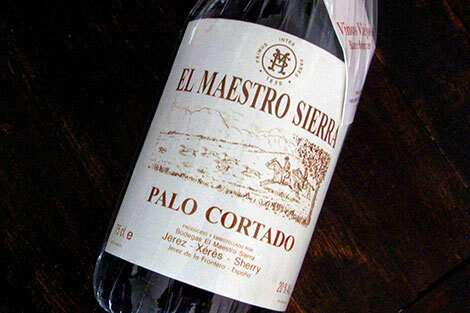 It is also the basis of El Maestro Sierra Cream (€9.60 in the winery, €14 in Wine Searcher), which resembles the Amoroso but it carries a larger proportion of Pedro Ximénez. The winery also makes a single varietal with this grape, its Pedro Ximénez (€11.75 in Gourmet Hunters and Wine Searcher) with five years of oxidative aging. 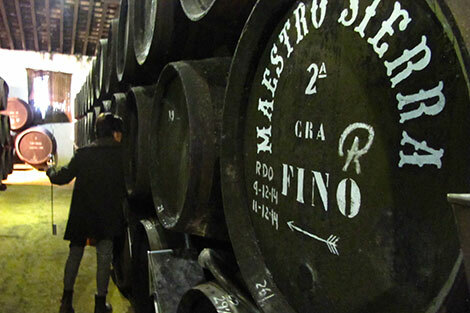 Unlike other old Sherry Triangle houses who have been more generous and detached with their sacas, El Maestro Sierra has maintained its old wine stocks more or less untouched for over 30 years boasting an impressive collection of VORS. Only 400 bottles are released each year —they are all numbered, hand-labelled and sold in individual wooden boxes. Five wines form part of this category: Amontillado Viejo 1830, coming from a foundational solera and kept in casks made by the very own Maestro Sierra; the Oloroso 1/14 VORS (averaging 50 years of age, 14 casks in the solera) and the Oloroso 1/7 Extra Viejo, a wine which should be legendary for its age (80 years on average; 7 casks in the solera) and unique character. The portfolio of old wines is completed with the Palo Cortado VORS (over 70 years of age)and the Pedro Ximénez VORS. Prices range between €37-65 in the winery for 37,5cl and from €81 in Wine Searcher. Master jewels at student prices. Is Sherry the most versatile wine in the world?